There are a few different ways. You can change it within Facebook, change it in your Global Chrome Settings, or opt to Block the Facebook Application only. 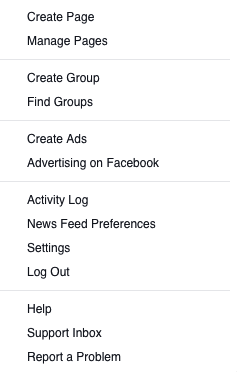 The most effective way to turn off your Facebook notifications is to log into Facebook and turn it off there. You can also head to this section if you want to turn them back on. This is how you can I enable or disable Facebook notifications in Chrome? Opt to Block all applications in your Global Chrome Settings. This method will turn off all Facebook notifications via Chrome along with other Chrome app notifications. This is a summary for desktop users from Google’s help section on turning Chrome app notifications on or off, including exceptions. Step 1 – Open Chrome. Step 2 – In the upper right corner of the browser window, click the Chrome menu Chrome menu. Step 3 – Click Settings > Show advanced settings. Step 4 – In the “Privacy” section, click Content settings. Option 1 – Allow all sites to show notifications: You’ll automatically see notifications from all websites. Option 2 – Ask when a site wants to show notifications: You’ll get an alert from Chrome whenever a site wants to show you notifications. This is the default setting. Option 3 – Do not allow any site to show notifications: You won’t see any notifications from websites. You can also block any sites, apps, and extensions that already have permission to send you notifications. Just click Manage exceptions.